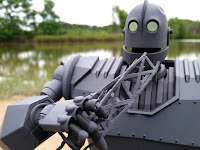 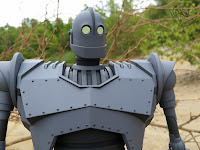 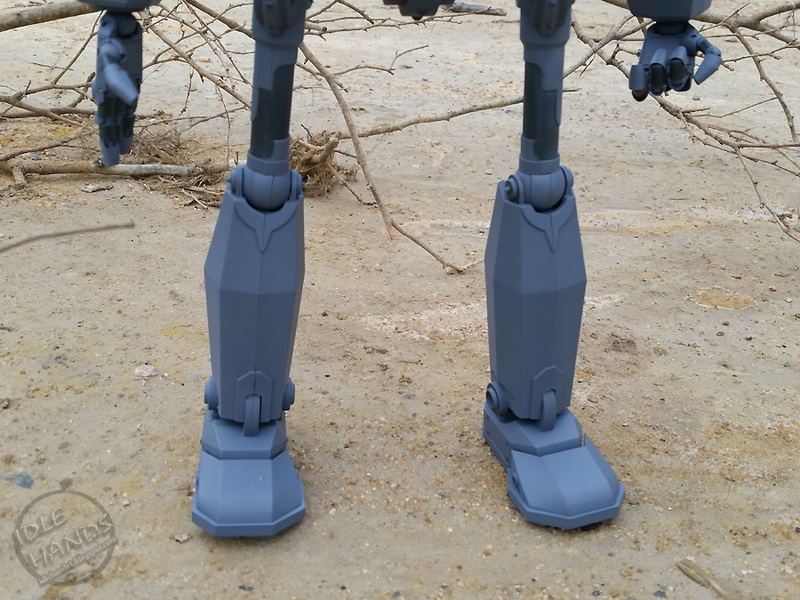 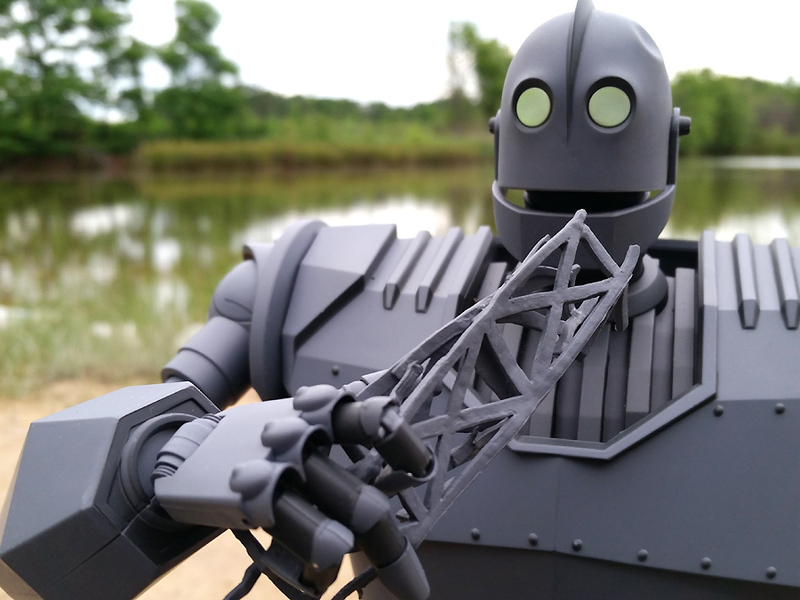 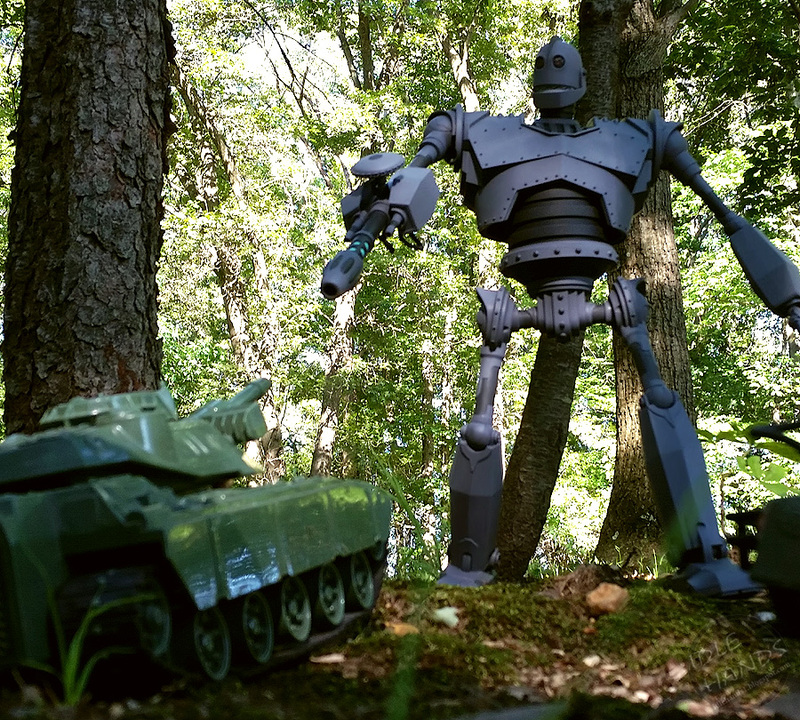 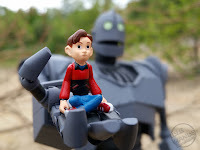 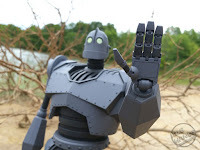 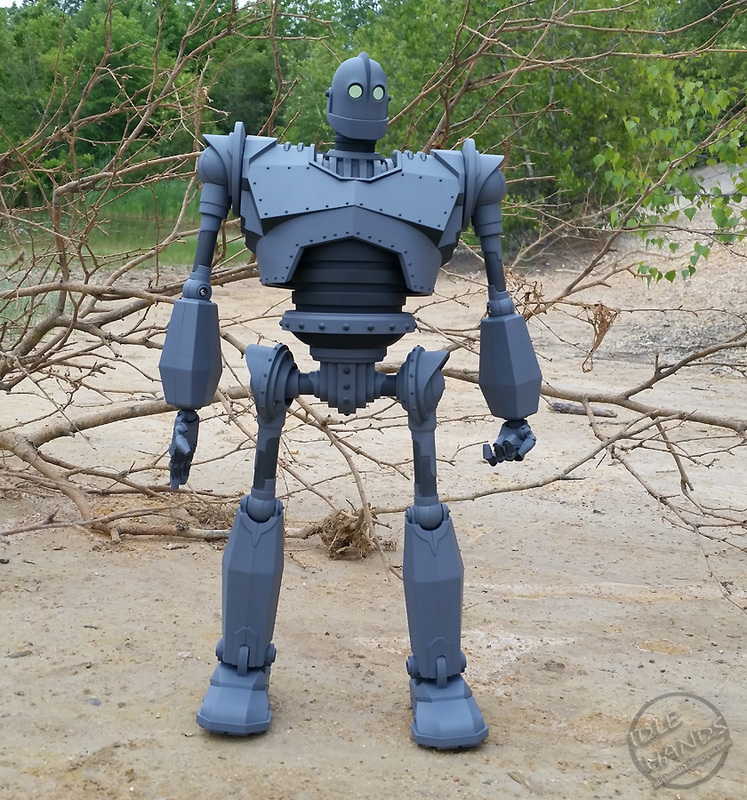 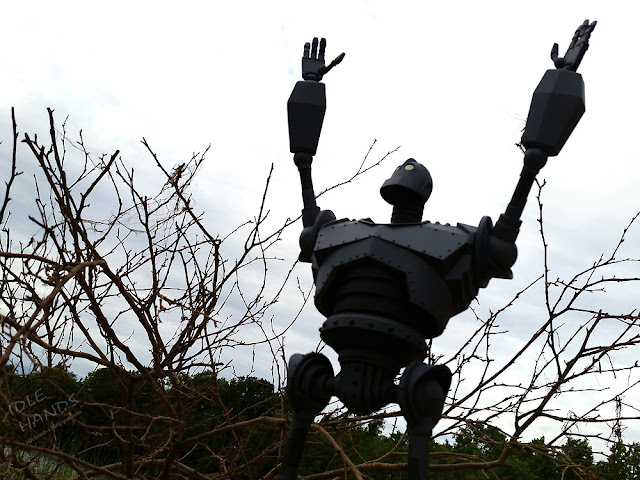 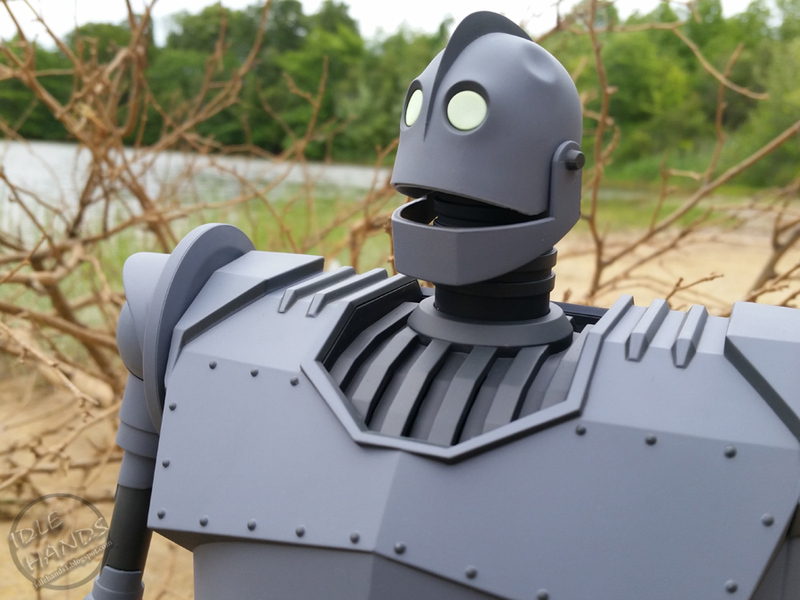 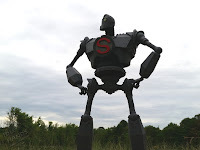 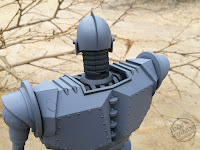 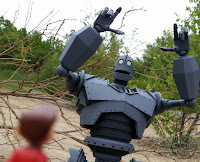 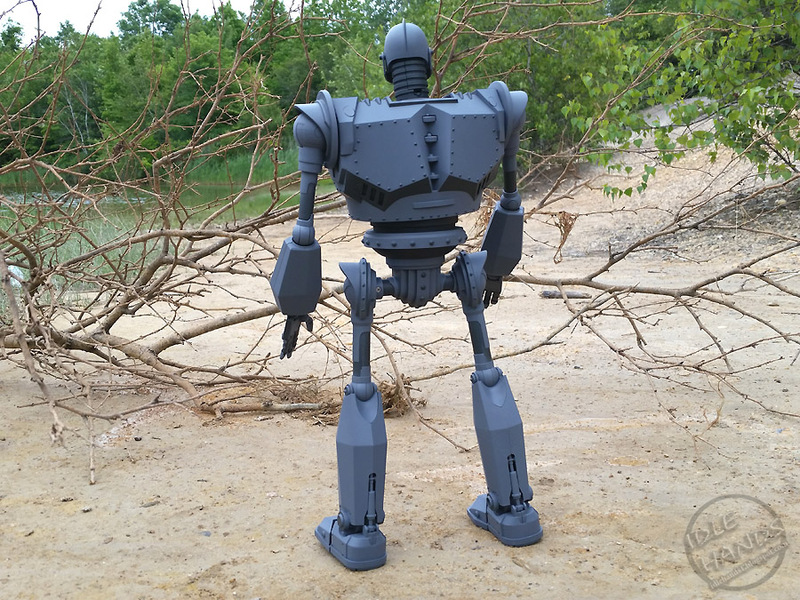 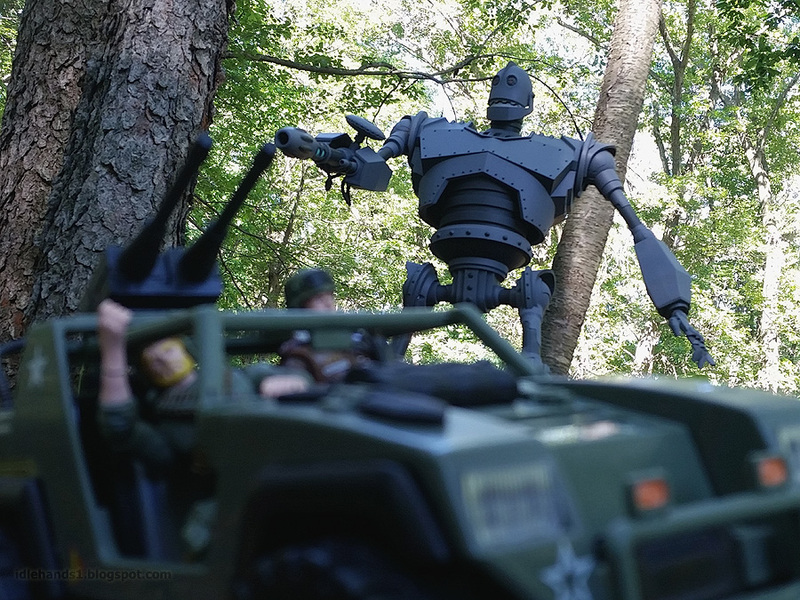 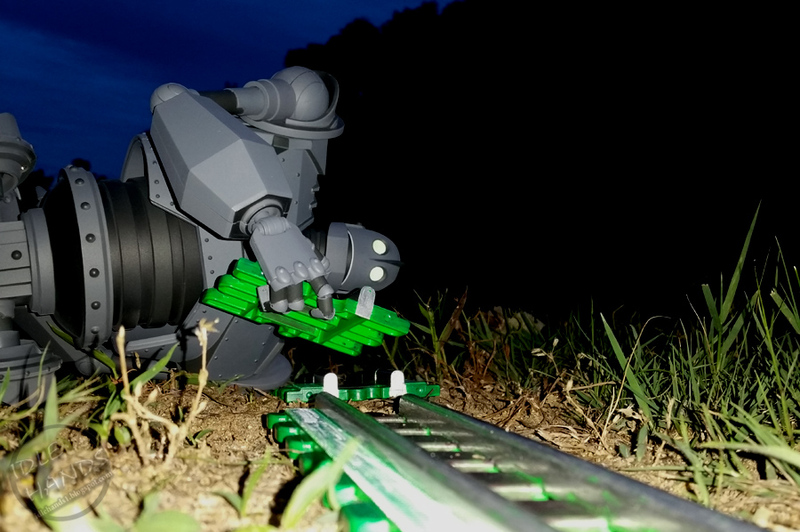 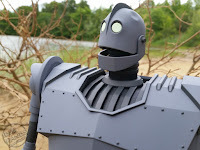 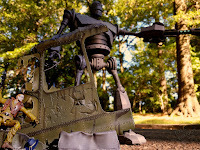 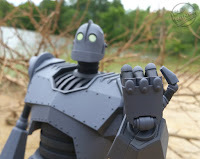 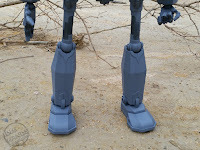 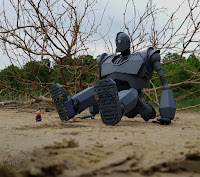 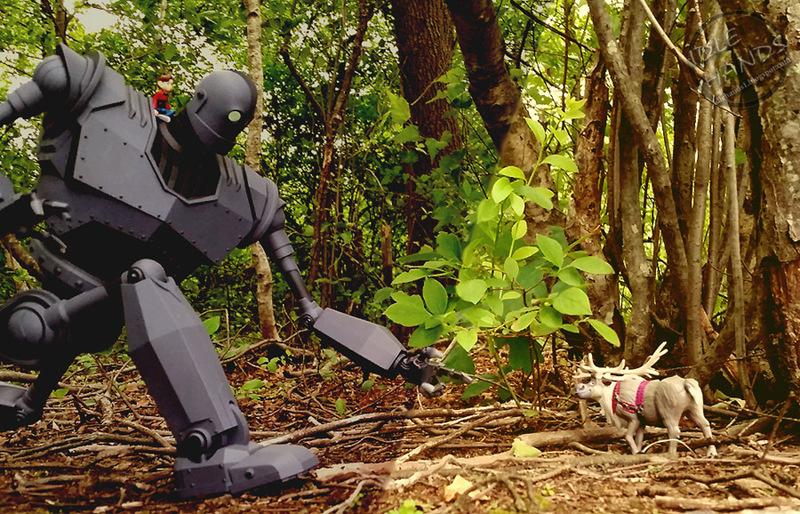 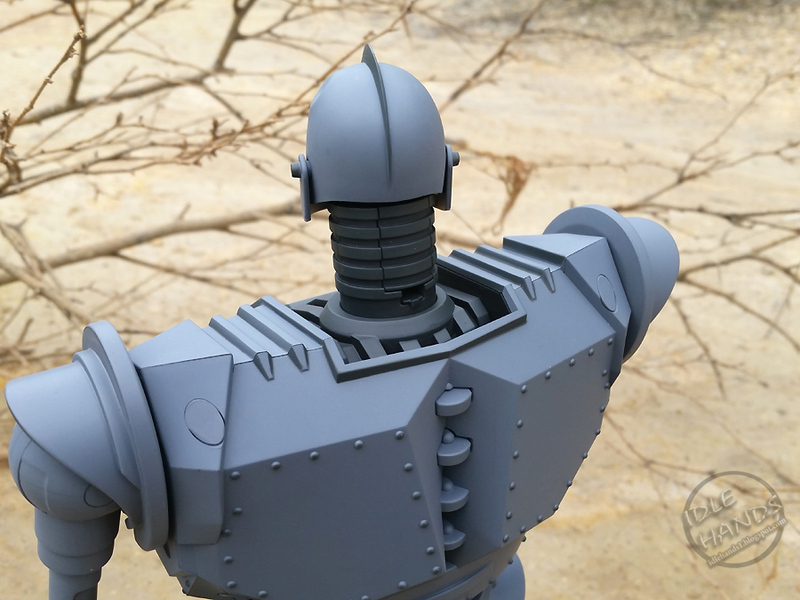 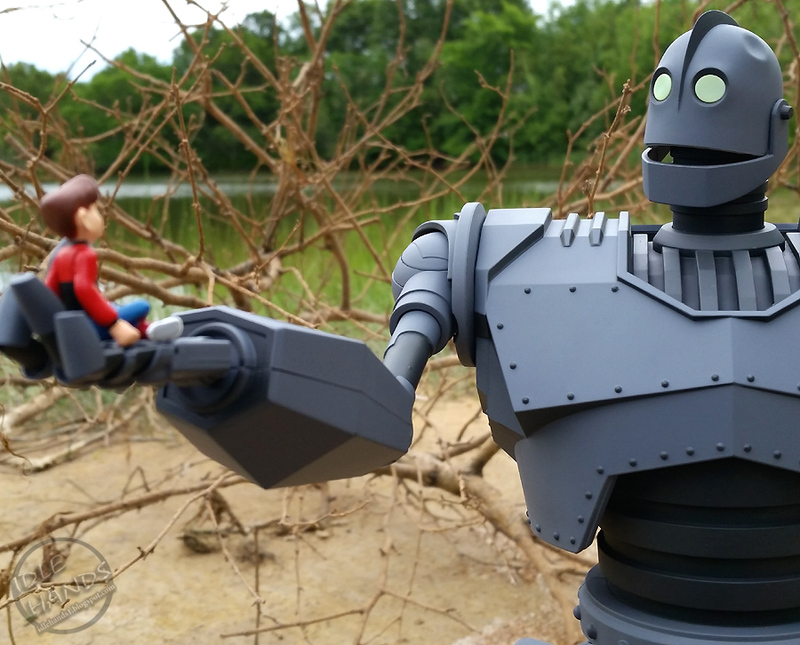 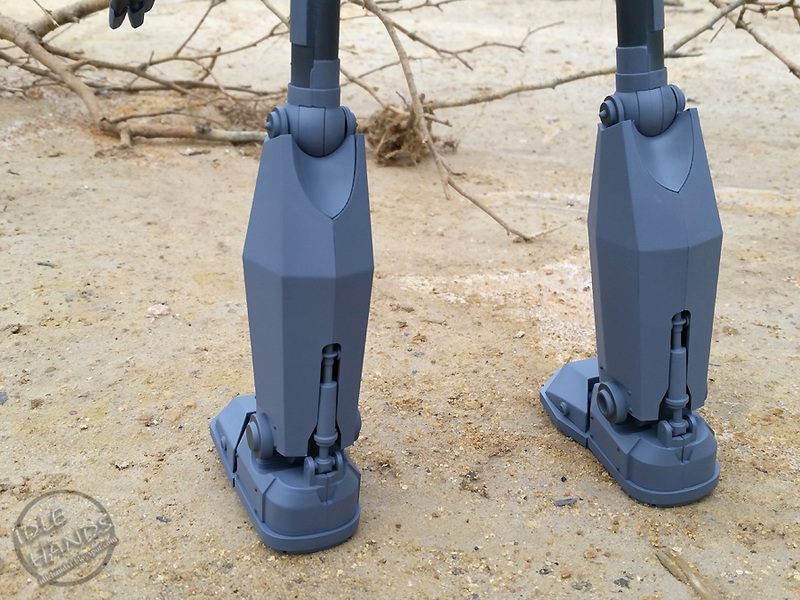 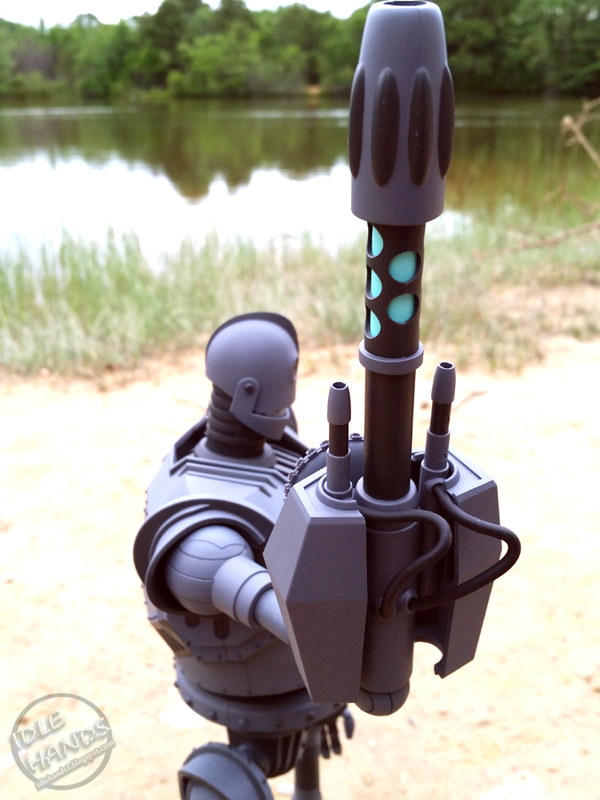 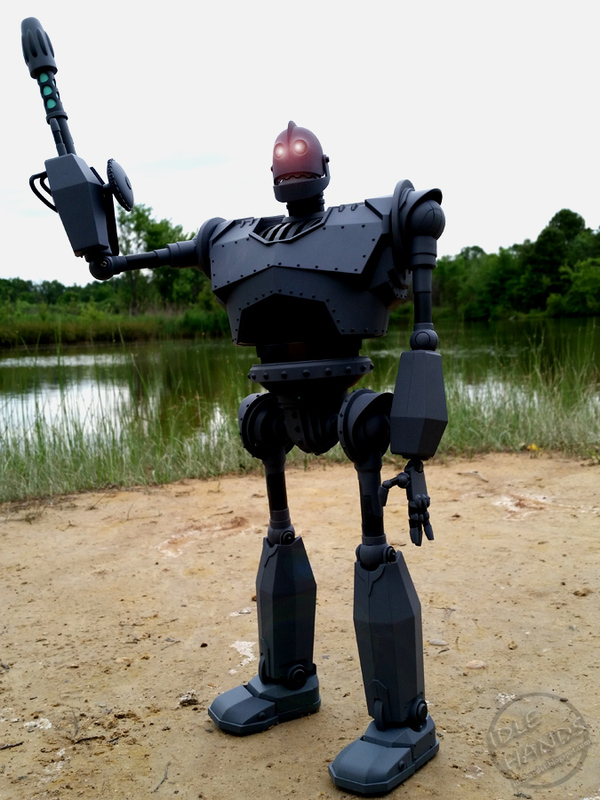 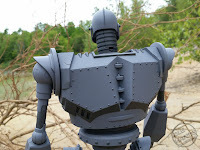 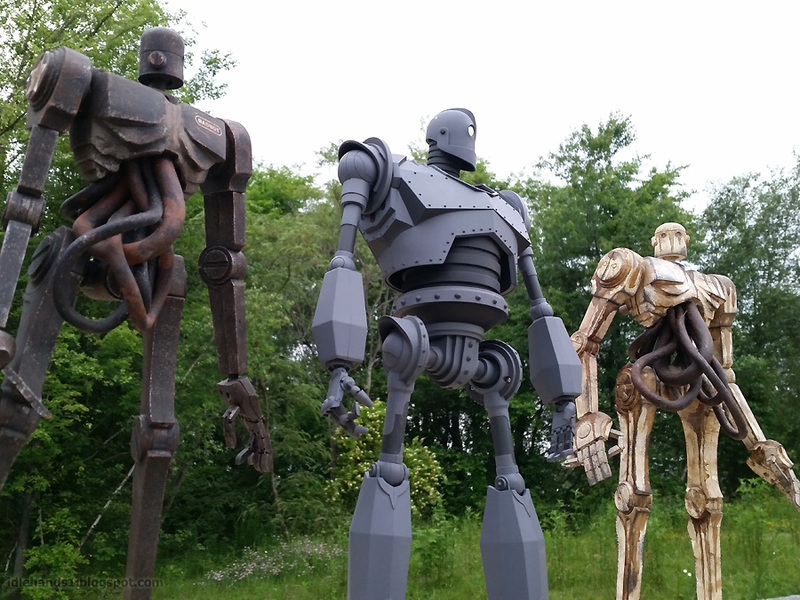 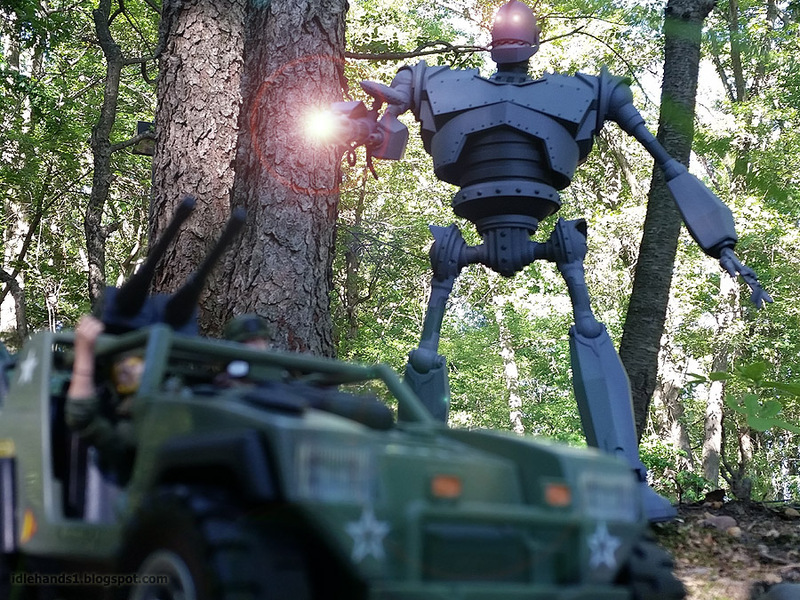 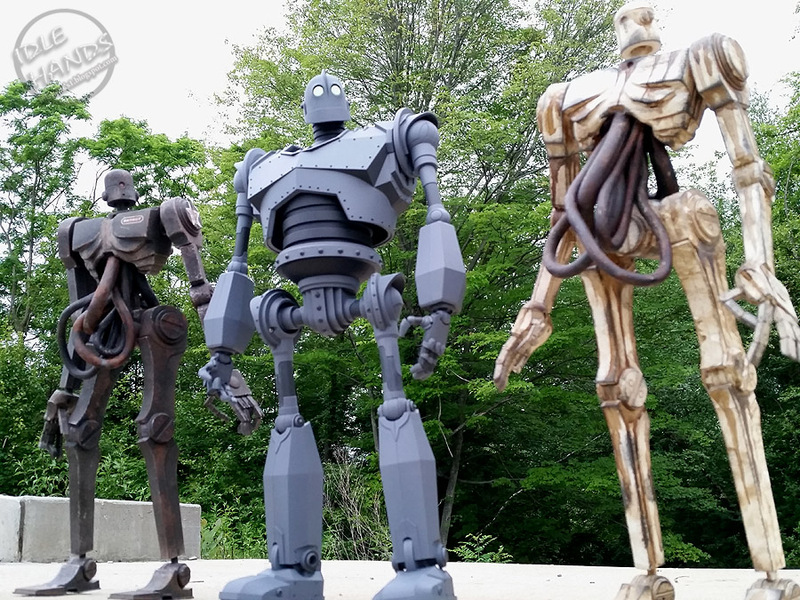 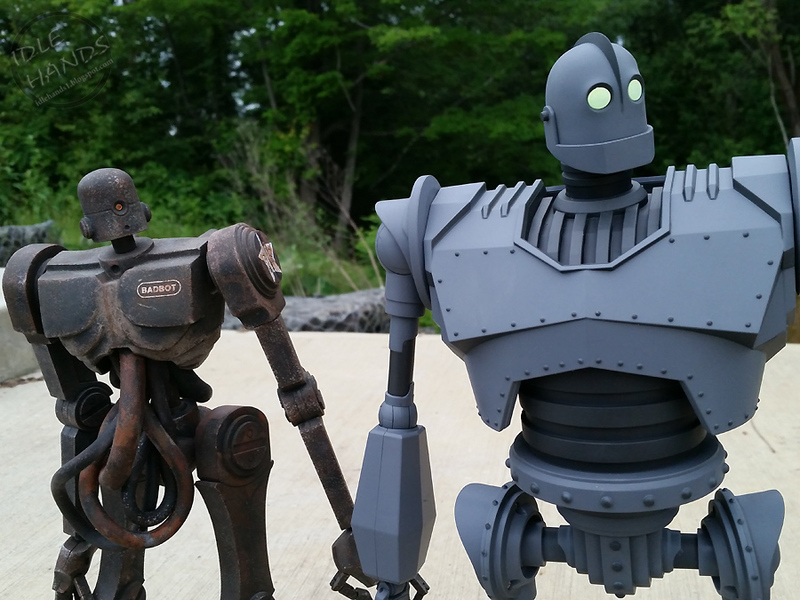 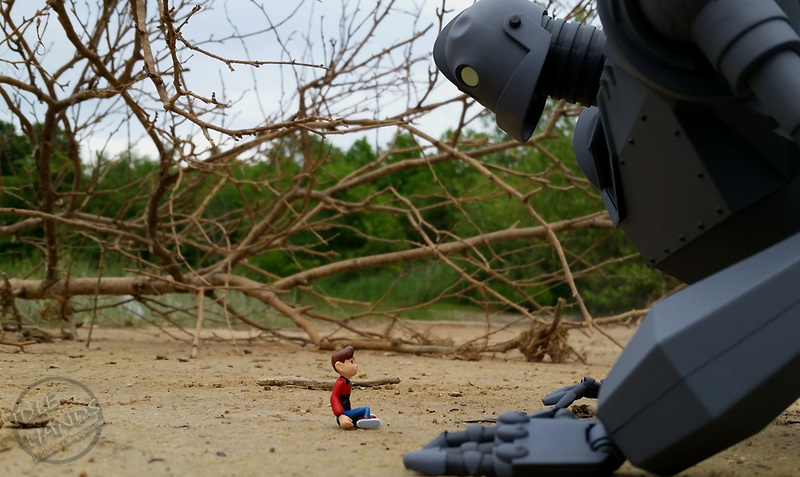 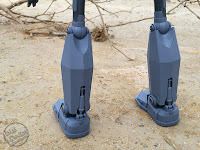 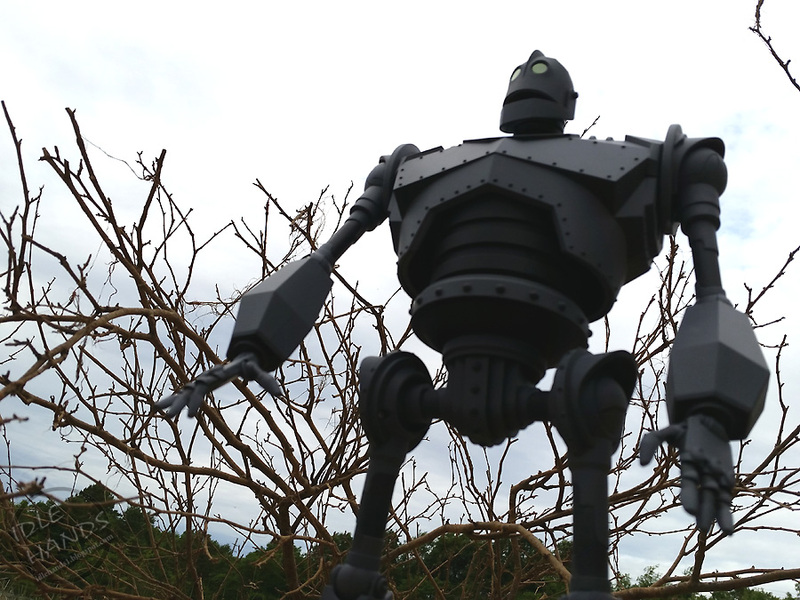 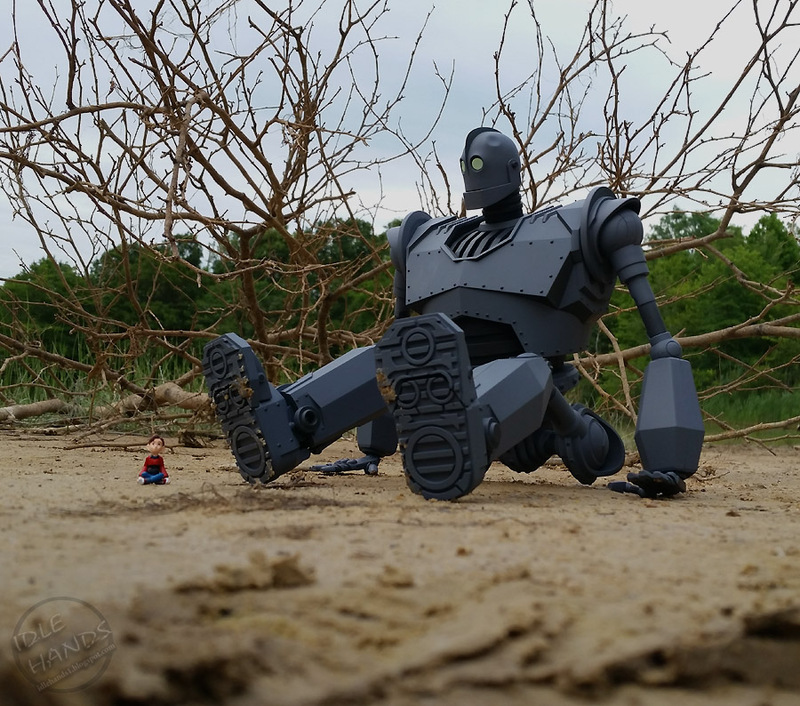 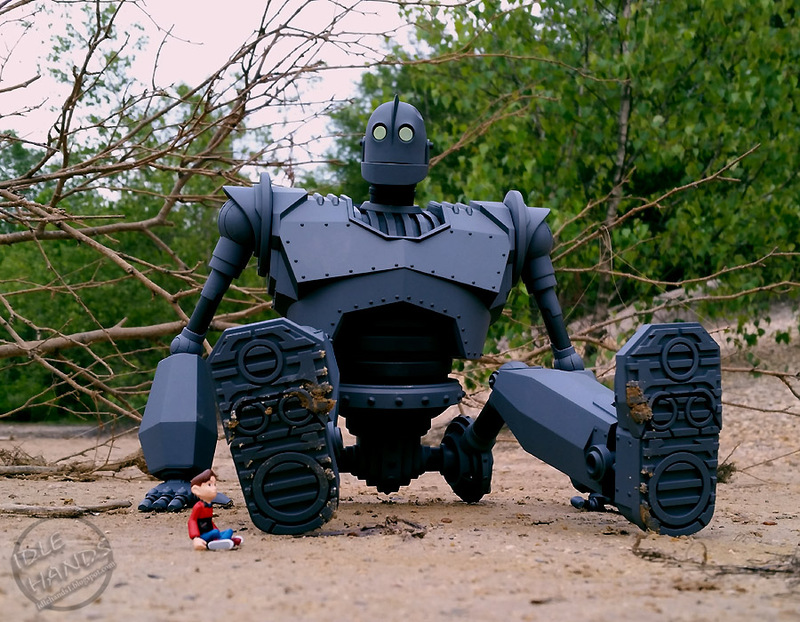 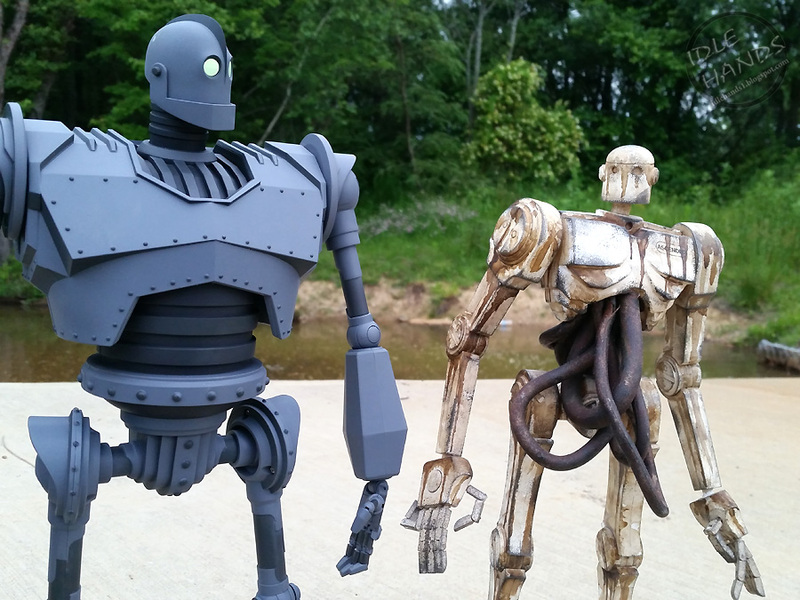 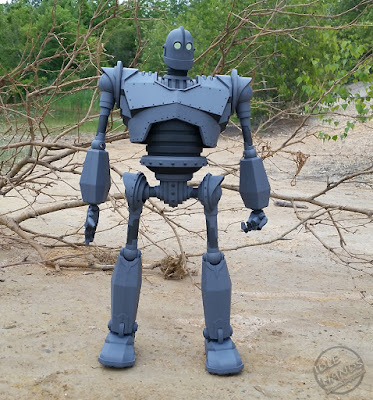 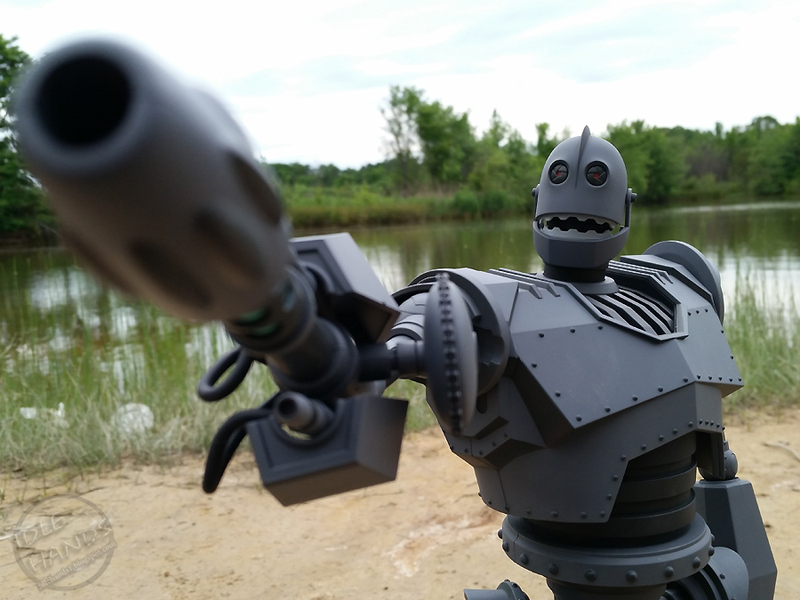 The Iron Giant Deluxe Figure is the most highly detailed Iron Giant collectible to date! 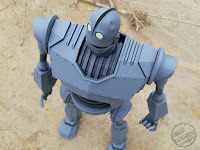 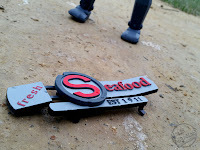 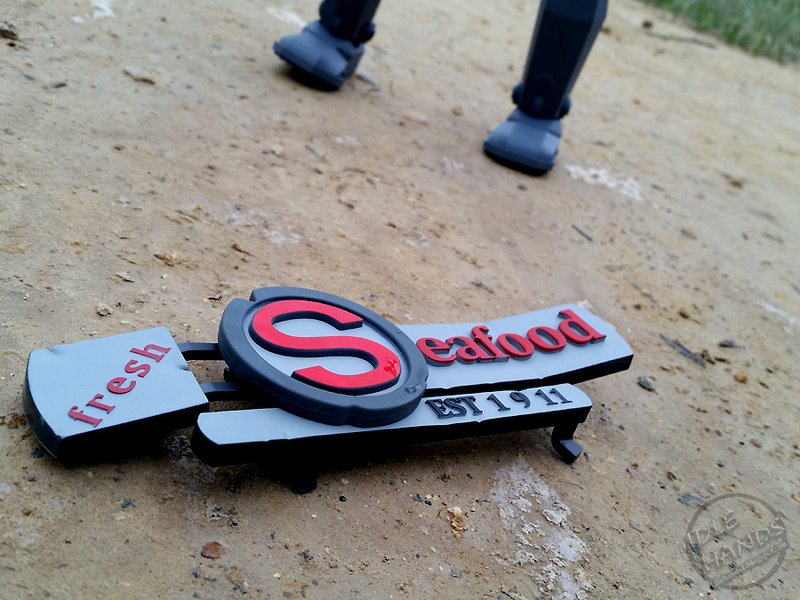 Created using the actual digital files used in the film, the figure features over 30 points of articulation, two interchangeable heads with a light up feature, magnetic "S" that can be detached from its sign and attached to his chest, switch-out "War Arm," Hogarth mini-figure, and a girder to munch on! In addition to this, the figure also includes a sound feature, with Iron Giant quotes from the film! 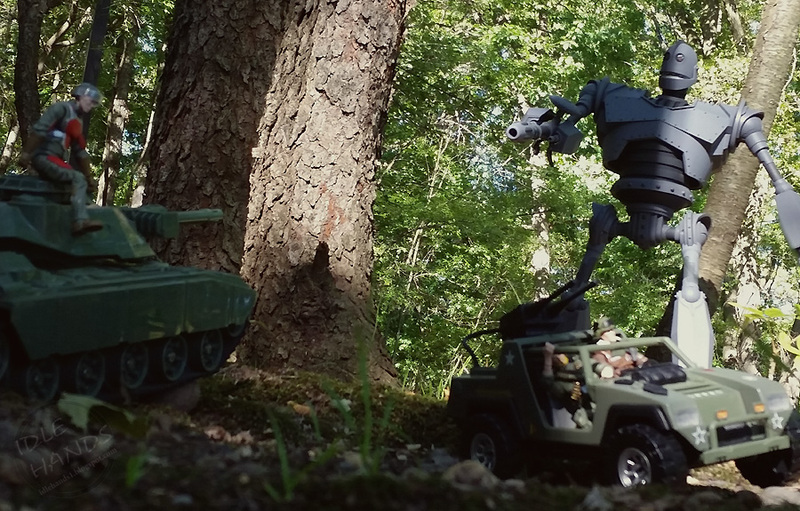 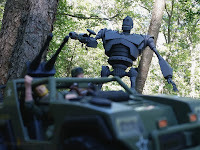 The creators of this beast are Bigshot Toyworks, the same psychos who brought you Pop Culture Shock's Robocop and the indie art toy phenomenon The Four Horsies of the Pocalypse! Makes perfect sense. 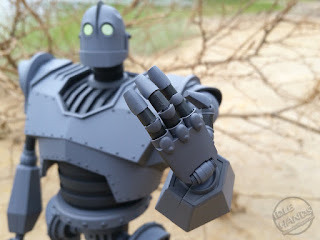 As you would expect from a toy with the ability to punch you right in the childhood, Iron Giant is long sold out, BUT I suspect many a person did not buy one to hold on to forever and ever and sleep next to so the first face he sees in the morning is of a lil Vin Diesel voiced robot (not saying I do this...), so grab Ebay by the throat and don't let go til it gives you an Iron Giant!! 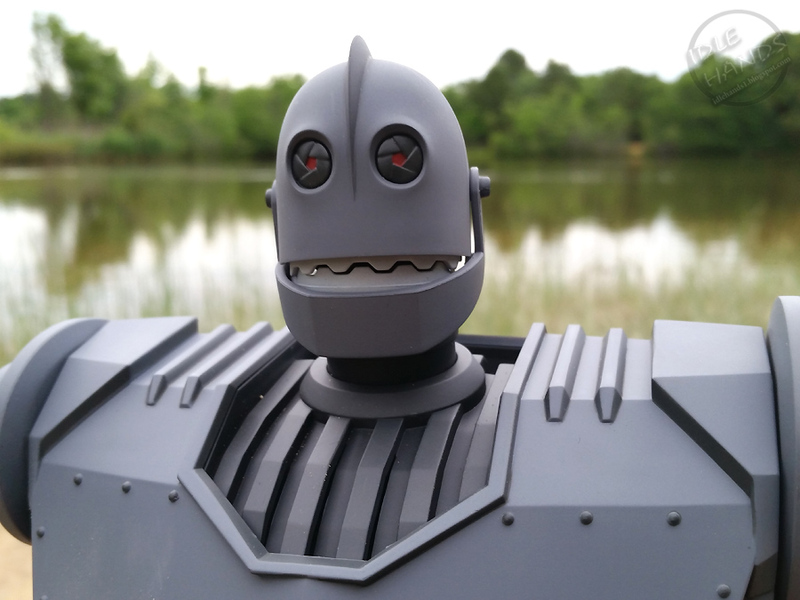 Head over to MONDO and pre-order Madballs, Teenage Mutant Ninja Turtles Mousers and...umm...Alfred Hitchcock. He is the newest Avenger. ...My notes could be wrong. 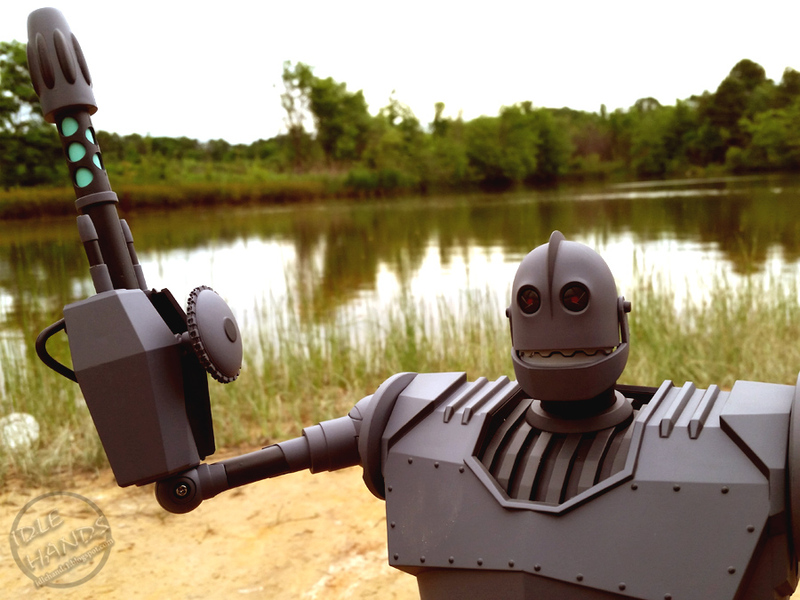 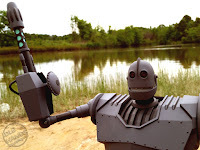 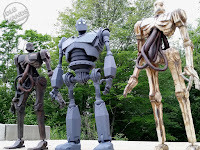 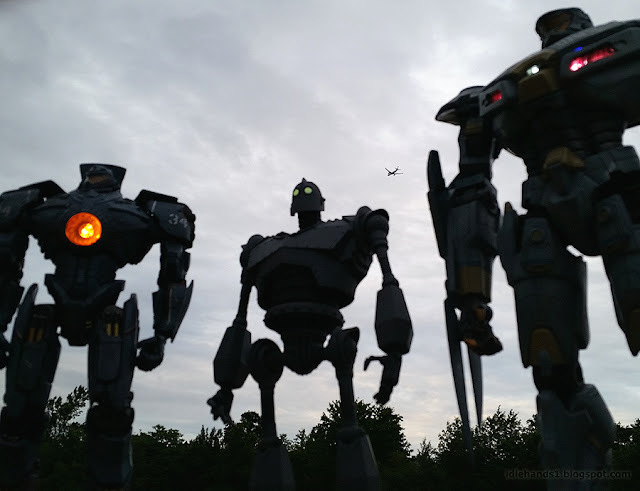 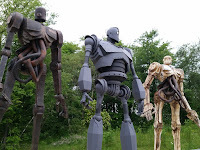 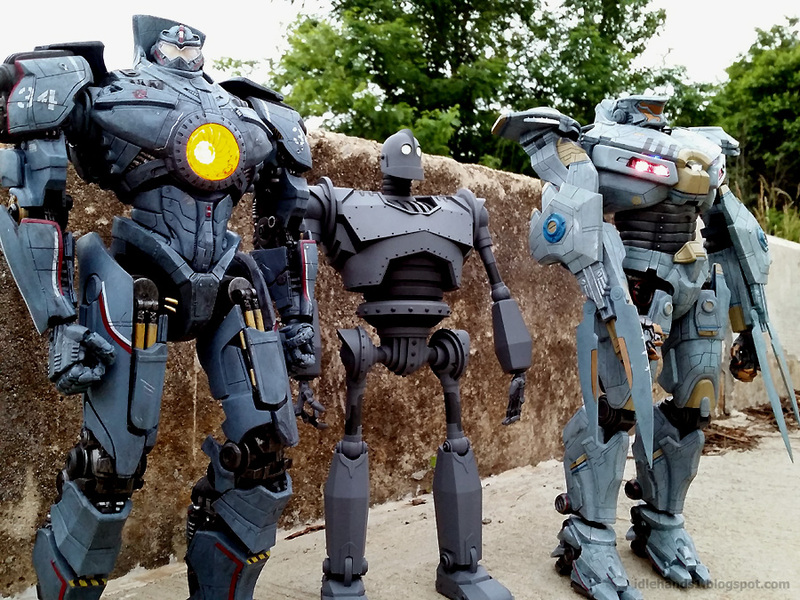 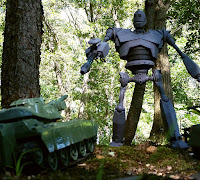 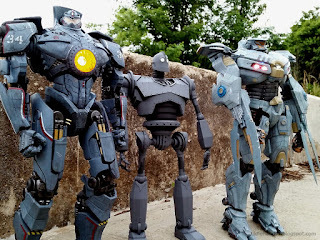 Special thanks to MONDO for the Iron Giant and NECA for some giant f*@king Pacific Rim robots!